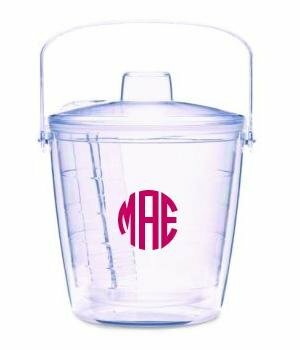 Monogrammed Tervis Ice Bucket is back in stock after 5 years. This ice bucket makes a great wedding gift. The Tervis Ice Bucket features double-wall insulation that keeps ice cubes ice-cold for hours. 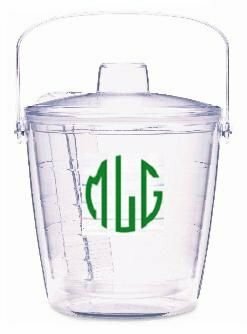 Great as a single unit or snazzy as a set with matching tumblers, the Ice Buckets come individually boxed with handle, lid, and custom-fitting tongs. 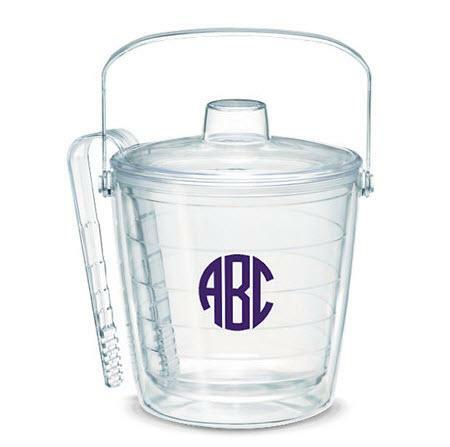 Ice Bucket measures 7-inches tall and is 6-1/2-inches wide at the top, 5-inches wide at the bottom. 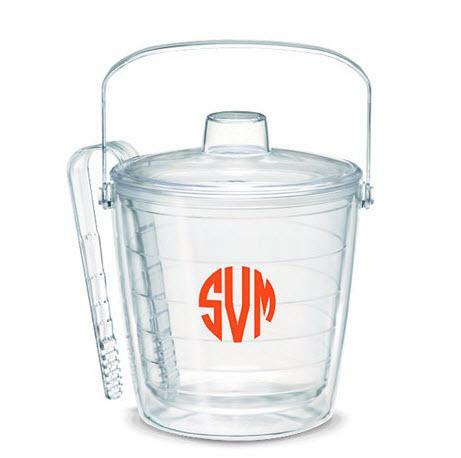 Tervis Ice Bucket can only be done in Monogram style. There is a choice for font color only. Price: $62.00 In stock! - Browse this brand: TcupsOur products are custom made to your specifications. This product ships up to 3 weeks after your order is placed.